Australia is chock full of thrilling activities, but you don't have to splurge to try them out! Check out these activities that you can do under S$200. AUSTRALIA. A place of dreams, a place of opportunity. This country that is also a continent has attracted dreamers, opportunists and adventurers for hundreds of years. Why, with landscapes made up of rugged mountain ranges, vast deserts, ancient rainforests and pristine beaches, Australia seems perfectly made for adventure travel. This is a country for backpackers, hikers, campers, thrill seekers. And of course, for those seeking adventure! So gather your courage, strap in, and check out these adventure activities to do in Australia for less than SG$200. At the point of writing, AU$1 ~ SG$1. While in Sydney, one of the best and most memorable things you can do is to climb the Sydney Harbour Bridge. Piece of cake, you think. But hold up! Before you start crying foul, consider this – you will ascend this iconic bridge to its summit, which lies a whopping 134 metres above the harbour. You will brave chilling winds, jelly knees, and even cold sweat on your palms, but persevere and be rewarded by absolutely stunning panoramic views from the summit. No easy feat, but it’s completely worth it. Plus, it’s greatly affordable too! Book a climb with BridgeClimb Sydney for a magnificent experience – prices start from AU$158 for adults. Dying to try this climb out yourself? 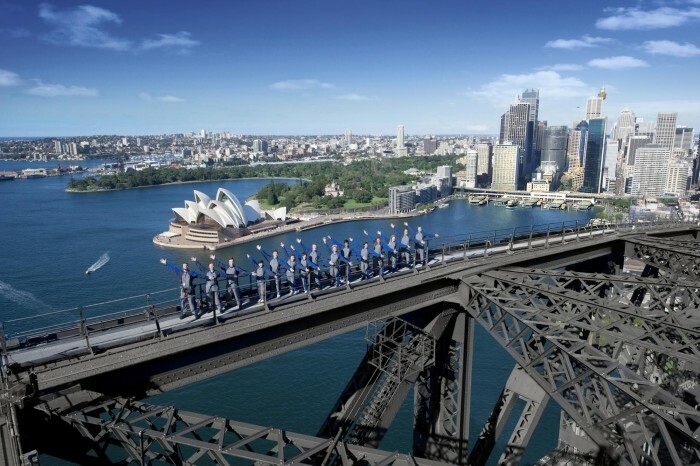 Take your pick from a variety of different climbs with BridgeClimb Sydney! Get a taste of the real thing with their BridgeClimb Samplers, or catch the warm, dying sunlight on your face with their Sunset Sessions! You’re sure to feel the thrill with whichever you choose, so why don’t you book a climb now? Prices start from AU$158! There are two major places in Australia for scuba diving: the Great Barrier Reef and Ningaloo Reef. Both are world-class dive destinations, and are stunning playgrounds for both experienced divers and intrepid first-timers. Numerous companies offer diving lessons and excursions to the reefs, with the competition between them keeping prices affordable. Take it from us – there’s nothing quite like getting up close and personal to the rainbow reefs and darting fishes! 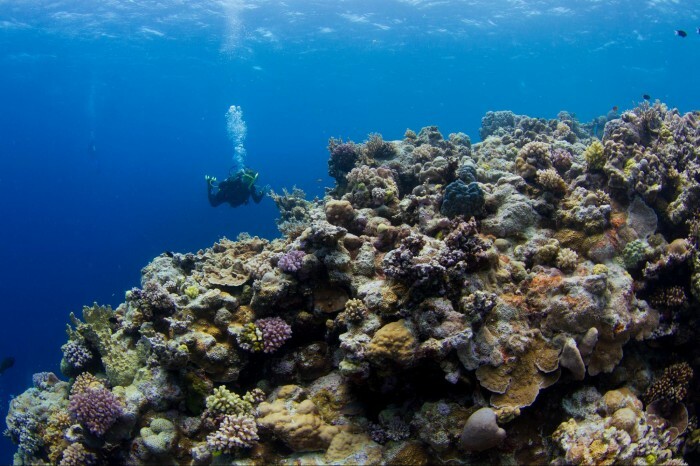 Dives at the Great Barrier Reef start at AU$169 while dives at Ningaloo Reef start at AU$75. Take your pick. Hands down, Tully River at Mission Beach is the best place to take on some whitewater rafting in Australia. Navigate your way through Class 3-4 Rapids, and manoeuvre through daring canyons, thundering rapids as well as short waterfalls. Don your bathing suits and your helmets – you’re going to get wet, wet, wet! 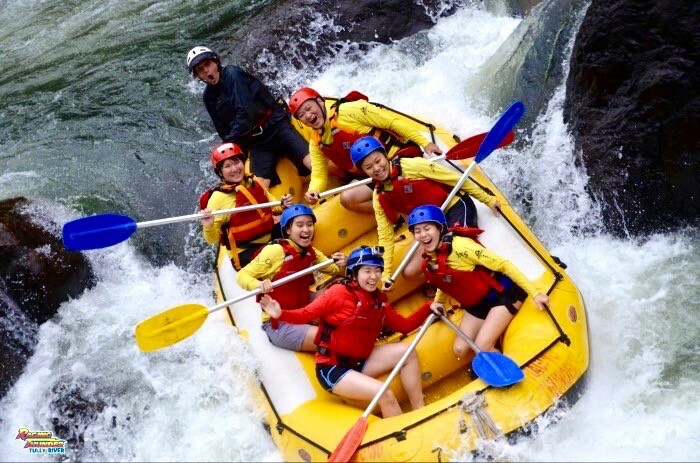 Our favourite go-to company would be Raging Thunder Adventures, which holds river tours and run daily pickups from Cairns and Mission Beach. They have different tours for rapids of different levels, and prices start from AU$133. As an alternative, you can also give Foaming Fury a go! They hold river tours from Cairns, Northern Beach, and Port Douglas. Prices start from AU$129 per person and lower for group booking. Ah, dolphins. Who doesn’t love these unbelievably adorable creatures? 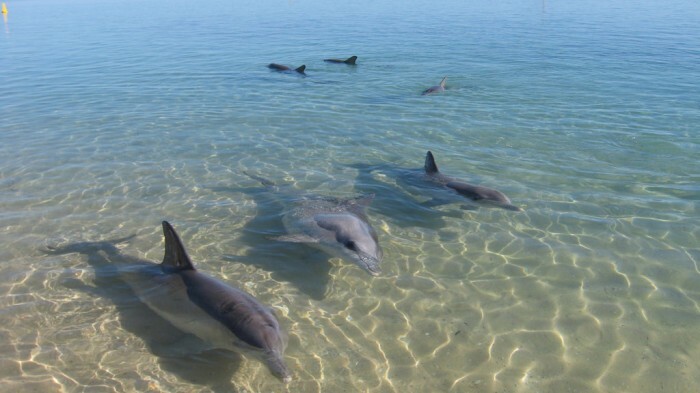 The warm and comfortable waters of Western Australia are home to large pods of bottlenose dolphins. They are found all along the state’s extremely long coastline, but there are a few spots where you are most likely to see them and even be able to interact with them. The most notable spots are Bunbury with its Dolphin Discovery Centre and Monkey Mia with its daily dolphin feedings on the beach. 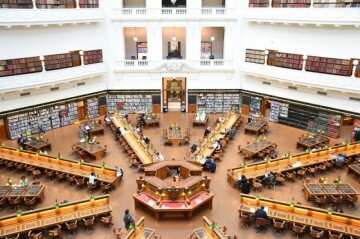 These memorable attractions cost essentially nothing, except for the entry tickets which usually average around AU$10, and are an essential part of any holiday in this part of the country. Didn’t you know? Australia is one of the top destinations for surfing in the world! Yep, we kid you not. 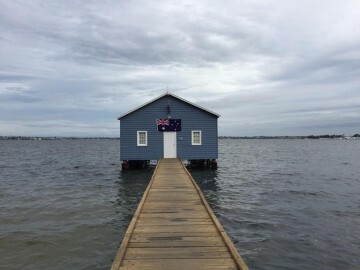 This enormous country is lined with gorgeous sand beaches all around, from the empty beaches in Western Australia to the stunning coast of Victoria to the spectacular sands in Queensland and the iconic beaches of Sydney. Surfing is just one of those things that you just have to try when visiting Australia – it’s the quintessential Aussie experience! You can take lessons and rent equipment in virtually every coastal town, with the abundance of surf companies keeping the prices low. Depending on what you want, average prices for group classes go for about AU$55–60 per person while prices for private classes average at over AU$100. Here in Australia, they do everything bigger and better. Normal driving is passe, 4-wheel driving is the way to get around! 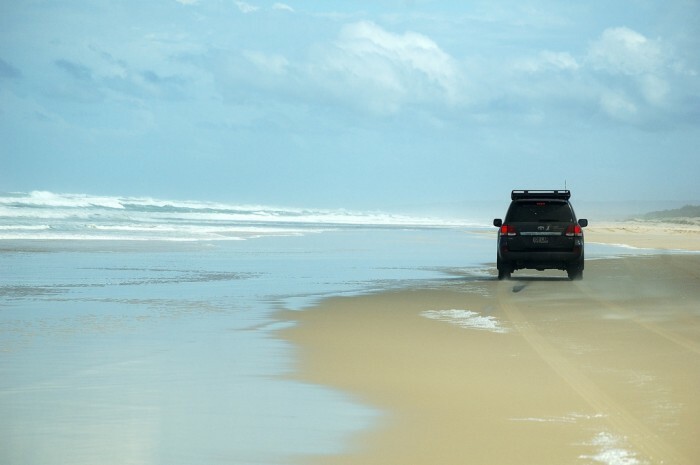 Queensland’s Fraser Island is one of the world’s greatest destinations to do just that. There are several adventure companies offering off-road driving trips on the island, which, incidentally, is a UNESCO World Heritage Site and the largest sand island on earth. Would you believe that! Depending on the length of the trip, the model of your car, and the experience, there are excursions to be found that cost less than AU$200, but these drives can range between AU$130–535, so be careful! We highly recommend trying out this activity, especially along the Australian East Coast. And… we’ve saved the free activity for last. Just look at the great outdoors. 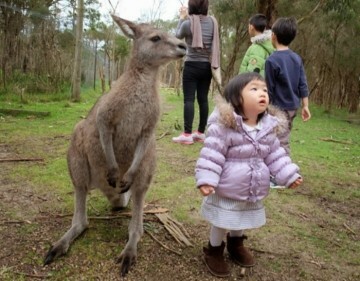 How can one not go camping and hiking when they venture down under? 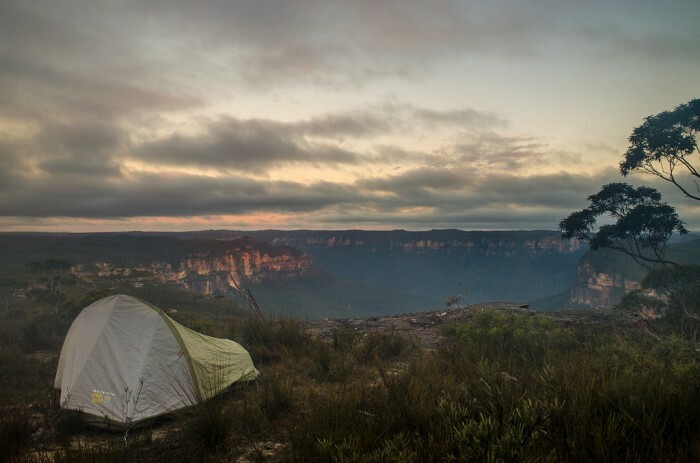 Believe it or not, but one of Australia’s most popular, and cheapest, adventure activities would be none other than camping and hiking. There are literally hundreds of national parks in the country, all home to hiking trails and campgrounds, some more impressive than others. And guess what, they’re all GORGEOUS! Every last one of them. Hike in places such as Wineglass Bay, the Flinders Ranges, Purnululu, the Daintree Rainforest, or even along the Great Ocean Road. Best of all? They’re all virtually FREE. Maybe just a national park entry ticket and, where required, a campsite fee – peanuts, we tell you. Peanuts! So SG$200 can get you a lot of things. But it can also buy you the adventure of a lifetime! What are all you daredevils you waiting for? Time to rock and roll! Mummy Wee shares about hoe Melbourne can be that perfect, wholesomely fun place to bring your kids. Check out 12 attractions to visit and 8 places to eat in Perth! 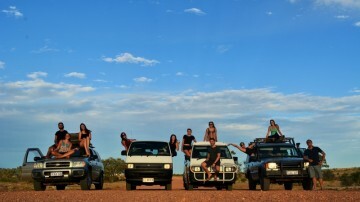 From Darwin to Adelaide via Uluru, the red centre of Australia, on the Stuart Highway Roadtrip.